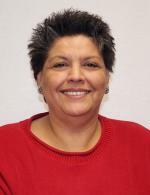 Cindy is the County Program Director and has been with Bernalillo County Cooperative Extension Service since 2005. During her time with Cooperative Extension Service Cindy has served at the urban 4-H agent, the adult home economist, and now as program director. Cindy has over 30 years’ experience in the home economics field. 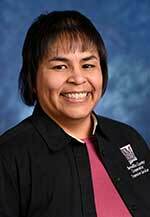 A native New Mexican, Cindy received her Bachelor of Science in Vocational Home Economics from Eastern New Mexico University and a Masters of Arts in Agriculture and Extension Education from New Mexico State University. She also earned an associate's degree from Pacific School of Theology in Seattle Washington. Cindy lives in Albuquerque with her husband of 30 years Pat, they have 3 sons. Dianne received her B.S. degree in Home Economics from California Polytechnic State University, San Luis Obispo. She earned her M.S. degree at Colorado State University in Consumer Economics and Education. 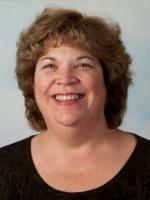 Dianne enjoys all things related to Consumer Science from nutrition to baking to sewing to financial education. She is passionate about creating healthy and delicious food and assisting others to discover ways to incorporate healthy choices into their unique lifestyles. Dianne is married to Kevin and they enjoy their young adult children, Steven and Megan, Jon and Brianna, and Lynn. Dianne has worked in the nonprofit sector for the past 19 years managing a number of varied and diverse programs and events as well as a large group of volunteers. She loves working with clients and volunteers and experiencing the joy that comes from working together towards a common goal. Dianne is looking forward to connecting and hearing about the ideas and interests of the existing Extension client base as well as building relationships with people new to the services Extension offers to the residents of Bernalillo County. Her desire is to assist others to craft healthy lifestyles to help with weight management and chronic illness. Excited for the summer gardening season, Dianne will enjoy assisting with food preservation classes and offering new programs as well. Sara is originally from El Salvador, Central America. She earned her Bachelor’s degree in Rural Development and Environmental Science in 2005 from the Pan-American Agricultural University of Zamorano in Honduras, where she worked with community farmers and schools to implement and teach better agricultural practices and basic plant knowledge. Sara moved to Long Beach, CA in 2006 she worked at a local nursery while attending Horticulture classes at Long Beach Community College. 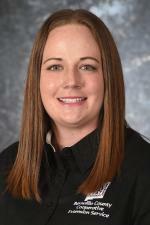 Sara earned her Master’s in Horticulture in 2015 from New Mexico State University, Las Cruces, NM. During her thesis, she worked with different applications of nitrogen and nickel fertilizers on pecan (Carya illinoinensis) orchards to evaluate photosynthesis, leaf greenness, and lignin. She worked on pecan orchards from NMSU Experimental Station and Artesia Agricultural Science Center. 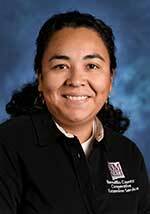 She was also a teaching assistant for the Plant and Environmental Science Department at NMSU. Sara happily joined the Bernalillo County Extension office on December 18th, 2017 as an Extension Agent. She is looking forward to collaborating with horticulture programs, school gardens, as well as helping Albuquerque communities with their concerns about plants. John is originally from rural Central Illinois where he grew up on a family farm. He was actively involved in 4-H representing Illinois at National Junior Horticulture Judging and at the National Club Congress. He attended the University of Illinois at Urbana-Champaign where he earned a BS in Horticulture (2002) and an MS in Agriculture Consumer Economics (2008). He served in various leadership capacities with the Hort Club, Collegiate 4-H, and Beta Sigma Psi (National Lutheran Fraternity), and he was a member of Pi Alpha Xi (Honorary Horticulture Fraternity) and Alpha Zeta (Honorary Agriculture Fraternity). During his schooling, he studied for a semester at Wageningen Agriculture University in the Netherlands and interned in Germany with the Deutsche Bauern Verband (German Farmer's Union) working at an arboretum and a rhododendron nursery. John is also a professional organist. Click here to learn more! John joined the Bernalillo County staff in Spring 2010. He is working with 4-H youth, assisting local farmers with business and production planning, facilitating agricultural educational programs and outdoor classroom projects with area schools, and answering questions from the public concerning the identification of plants and their culture, production, diseases, and pests. Lydia is originally from Tularosa, New Mexico. She completed her undergraduate studies in Biology with a minor in Psychology at New Mexico State University. She went on to complete her graduate studies in Nutrition with an emphasis in Health Education at UNM. 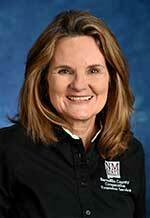 She previously worked with UNM Prevention Research Center, NMDOH WIC and Albuquerque Public Schools. She has extensive experience with nutrition education, obesity prevention and USDA nutrition guidelines as well as other community health initiatives. 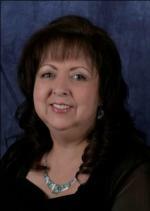 She has worked with many communities and age ranges throughout the state of New Mexico. In her spare time Lydia enjoys to travel and trying different foods. 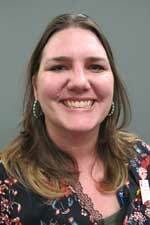 Lydia joined Bernalillo County Cooperative Extension in January 2018. She looks forward to engaging the community with all that ICAN offers. Nicole was born and raised in Albuquerque but was never a part of 4-H and FFA. It wasn't until she entered her freshman year of college in Las Cruces that she truly learned and began to understand what 4-H and FFA were. She started to learn more about these youth programs through her time as an ACES Ambassador recruiting for NMSU at regional and state fairs. 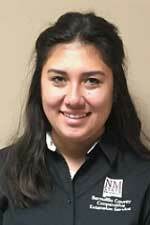 She earned her Bachelor's degree in Animal Science with an emphasis in Equine Science from NMSU in 2015 and received an 4-H internship with BCCES that same summer. Through her time as an ambassador, an intern, and a graduate teaching assistant, she eventually realized her passion for Agriculture Education and that led her to complete her Master's in Agriculture and Extension Education in 2016. Her thesis work was on 4-H Volunteer Motivations in New Mexico. Though Nicole has a degree in Animal Science, she grew up with a love for cooking, baking, sewing, and arts and crafts. Nicole joined our 4-H Staff in June of 2016. She is excited to work on recruitment and retention of new 4-H members and volunteers, as well as teaching the wide variety of projects on the FCS side of 4-H! Brittany grew up in central Florida, about an hour north of Orlando. She was very active in the local 4-H and FFA, participating in projects including horse, swine, steer, poultry, rabbit, citrus and veterinary medicine. She began her college career in 2007 when she attended the University of Florida. There she received a Bachelor’s of Science in Agriculture Education and Communication, with a focus on teacher education. This allowed her to obtain her 6th-12th grade Agriculture Teacher Certification for the State of Florida. During her time as a Florida Gator, she was actively involved with Sigma Alpah (a professional agricultural sorority) and Collegiate 4-H. She was also a rider for the Florida Equestrian Team, competing in Western Horsemanship, Reining, and Hunt Seat Equitation. Upon her graduation from the University of Florida in 2011, Brittany traveled out to Texas to pursue a Master’s of Science in Agricultural Leadership, Education, and Communication focusing on Extension Education. While at Texas A&M, she was an active member of Collegiate 4-H and spent a year riding with the Polo Team. Her thesis was on the Texas Quality County program, a livestock ethics and quality assurance program required of all 4-H and FFA members showing at the large Texas Livestock Shows. Brittany also held an assistantship with the Ecosystem Science and Management Extension Unit coordinating the Texas Range Webinar Series. Brittany joined the Bernalillo County Extension Service in August of 2013 as the Urban 4-H Agent! She is excited to be working with youth teaching farm-to-food literacy as well as other non-traditional 4-H programs, such as robotics. Lauri joined the staff at Bernalillo County Extension in June 2000 as the ICAN program secretary. She became the County Director's Administrative Assistant in November 2005, the position which she currently holds. Virginia Chaves is the Administrative Assistant, General of Bernalillo County Extension Service and has worked for extension for almost thirteen years. She maintains the 4-H member database and other 4-H responsibilities as well as assisting with any other office administration needs. She was a 4-H Leader for 10 years, along with her husband James, while her three sons were growing up and has an appreciation for the 4-H Program. Monica Holguin, I am the ICAN Administrative Assistant for Bernalillo County Extension Office. I have been employed with New Mexico State University for nearly four years now. I am bilingual and I have an associate degree in applied science and I take pride in my work with Bernalillo County Extension Services. 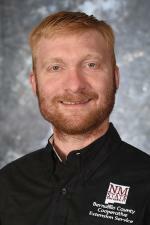 Brian has worked for NMSU since 2008. Although he is based in Albuquerque, his position actually provides IT support for 16 Extension Offices and Ag Science Centers located in northwest New Mexico. Brian grew up in Caledonia, NY, and Delaware, OH. 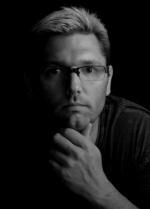 Prior to joining NMSU, he worked as a Nuclear Weapons Specialist for the U.S. Air Force and Manufacturing Tech/Emergency Responder for Intel Corporation. His personal interests include cars, computers, photography and home theaters systems.